Learning valuable money skills is in the bag as you collect, count and exchange money all the way to the finish line. 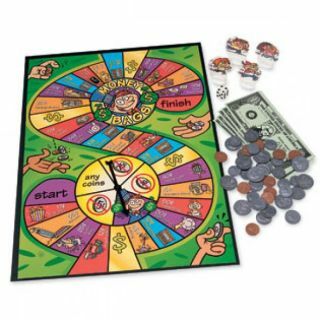 Includes a game board with spinner, 100 plastic coins, play bills, markers and die. For 2-4 players.